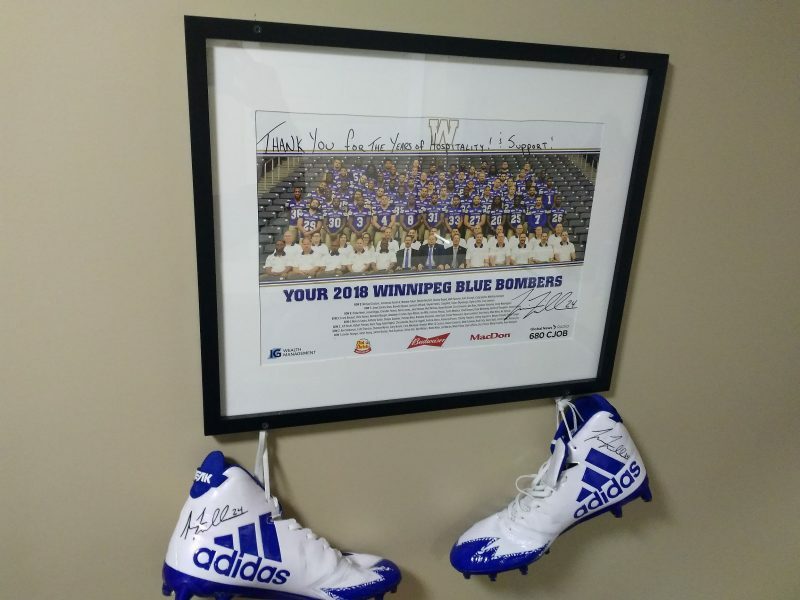 Just in time for tonight’s first game of 2019 Moncton Flag Football League, the SportsDome received a signed portrait and cleats from Riverview native Mike Miller. This Winnipeg Blue Bomber’s CFL is a 2015 Grey Cup Champion and uses our facility to train while he’s home during the off season. Thanks Mike, we’re keeping the cleats!